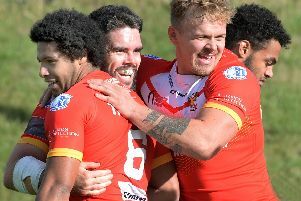 Sheffield Eagles director Mark Aston has made up his mind on who he wants from his current crop for next season. With four games remaining of the campaign, some in the dressing room are looking for an extended stay. But Aston says: “I know who is going and staying. Those we want to stay will be spoken to and sorted very quickly. “Then we will get on with our recruitment drive because I'll end up in a strait jacket if I continue to have another year like this. 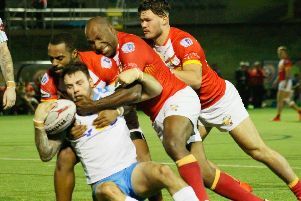 Aston has sat down with Irish international Josh Toole regarding an extended stay. Whilst the likes of Greg Burns, Ryan Millar, Oliver Davies, Shaun Pick, Ben Blackmore, Corey Makelim and Matty James all signed two-year contracts at the start of the current campaign. The Eagles chief has also previously stated he would love to bring back some former Eagles to help recreate the culture that he says has been missing in recent years. With coaches across the game now able to discuss terms with prospective new arrivals for next season, Aston is sure to be hitting the phones as he looks to inject some fresh faces for 2019. “The culture is poor,” Aston reaffirmed.